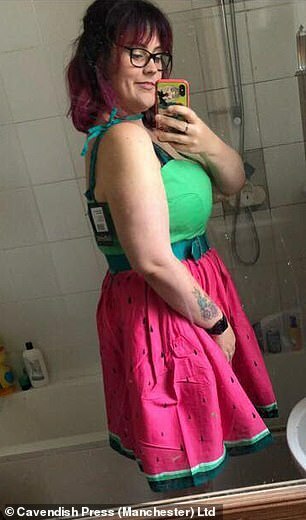 An overweight mother-of-two has shed an incredible 13 stone after becoming too ashamed of her size to do the school run. 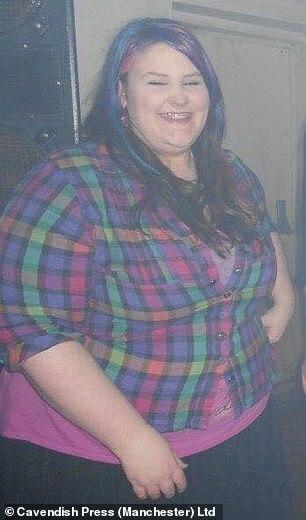 Jennifer Arlett, 28, from Barnstaple, North Devon, was embarrassed to be seen in public after her weight ballooned to 27 stone. 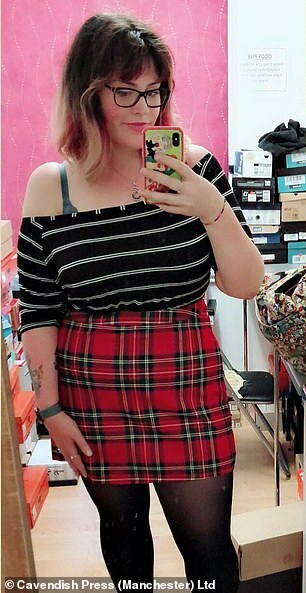 At her heaviest, the shoe shop assistant would regularly eat leftover takeaway food for breakfast, eat a multi-pack of crisps in one sitting, and go to her local shop to buy junk food instead of a home-cooked meal. But when Jennifer’s five-year-old daughter Amelia started school, she decided she wanted to become a better mother and lead a healthier lifestyle. 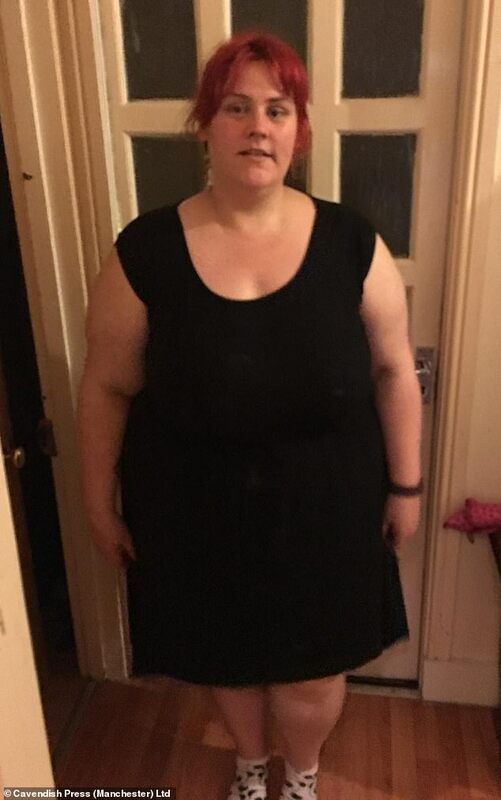 Now after attending Slimming World classes she has dropped seven dress sizes, from a size 26 to a size 12, and currently weighs a much healthier 14 stone. 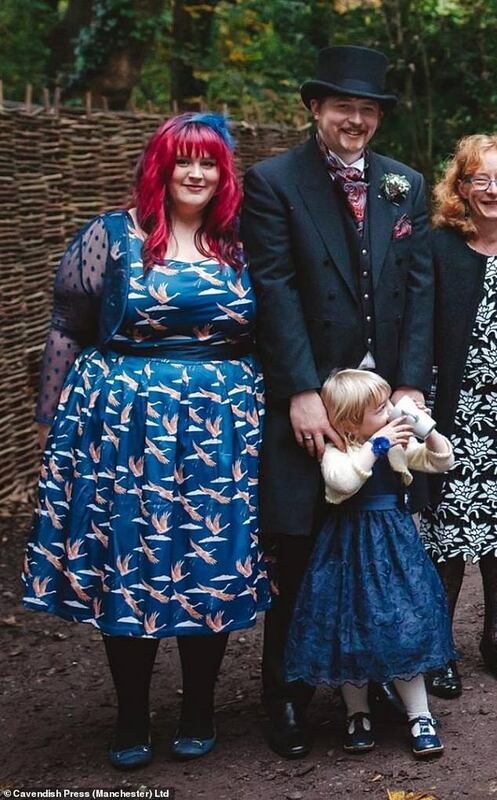 Jennifer, who is now set to marry her fiancé said: ‘When I was at my heaviest I couldn’t walk five minutes to the shop without getting out of breath. ‘I just stayed inside, it didn’t go out much and I felt really self conscious. 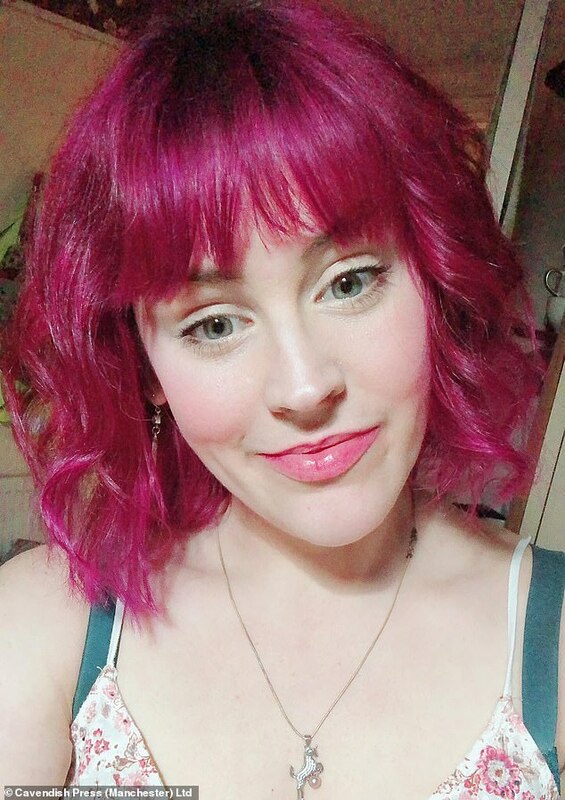 Many people would look at me in the street and it made me feel anxious, I couldn’t get involved in socialising because I felt that people were looking and laughing at me. ‘I have so much shame about it. I was depressed at the time and I was struggling doing simple things. Jennifer added: ‘I think I have always struggled with food addiction. I’ve always been bigger, ever since I was a teenager. I just never got out of the habit and it got worse. I felt ashamed that I couldn’t take Amelia out to the park. She didn’t go swimming until last year. Describing her food intake before her weight loss, Jennifer said: ‘My diet before I lost the weight was terrible, I was a bit nocturnal. I ate late at night and woke up late in the afternoon. I had five or six Chinese takeaways a week. ‘I would go to the shop and buy a huge carrier bag of rubbish food. I ate a massive amount of calories. I stayed inside most of the time. Explaining how her life has changed since losing the weight, Jennifer said: ‘Over time things have improved for me, I was able to play around with my girls, and it makes me happy to know I’m going to be around to see them grow up and that I’m going to be healthy. ‘I feel amazing, I have so much more energy. I had gall stones caused by my weight, they’ve gone since I’ve lost it all. ‘I used to have [irritable bowel syndrome] and that’s subsided. I was told I wasn’t able to have children, but those symptoms have gone now. ‘I used to struggle with my knees and ankles. My knees used to give way, I don’t have that problem anymore. I used to struggle walking down the road, or going up and down stairs and doctors told me I was going to die if I didn’t do something. ‘Now I feel like a different person. I’m so much happier with myself. 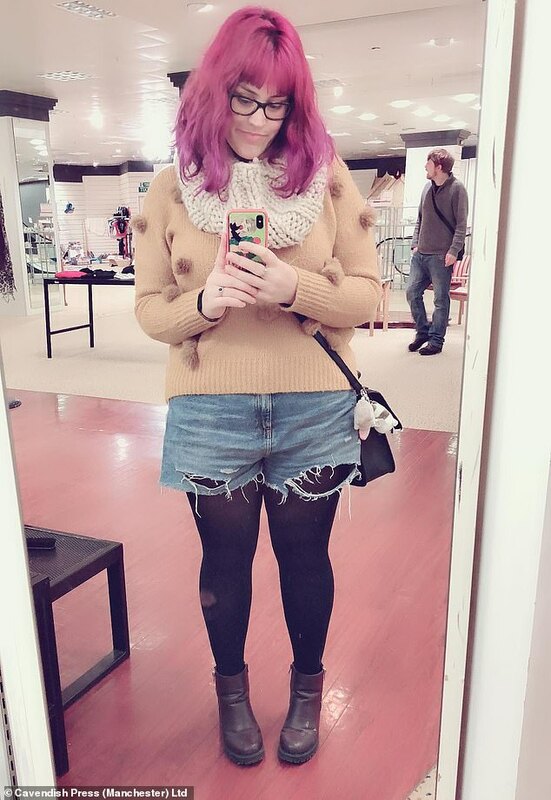 I was a size 24-26 and now I am a 12-14. Even my shoe size has changed, my feet have gone from a 9 to a 6. 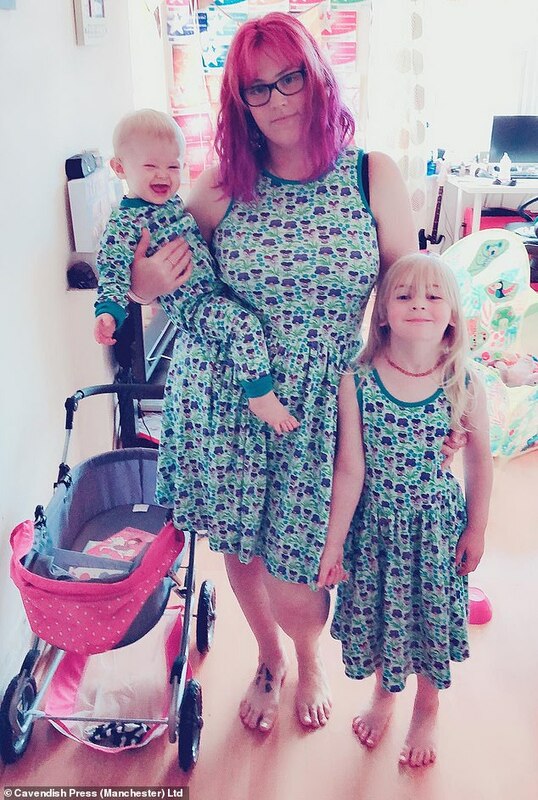 Being a mum is really stressful, even when you have not struggled losing weight. 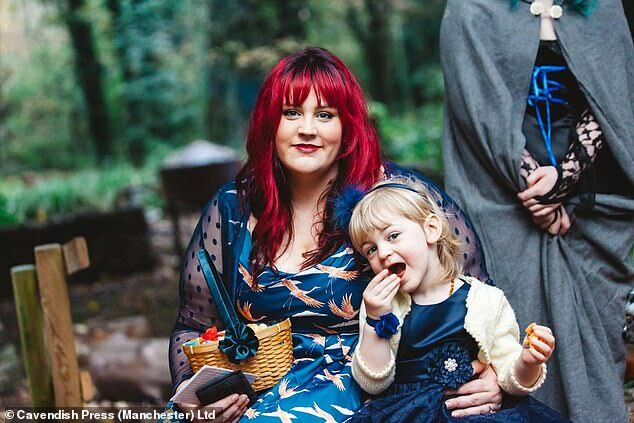 ‘I always felt like a bad mum to my girls as I wanted to spend more time with them and felt like I couldn’t. Now we now do loads of things together, we go swimming, we go on long walks. 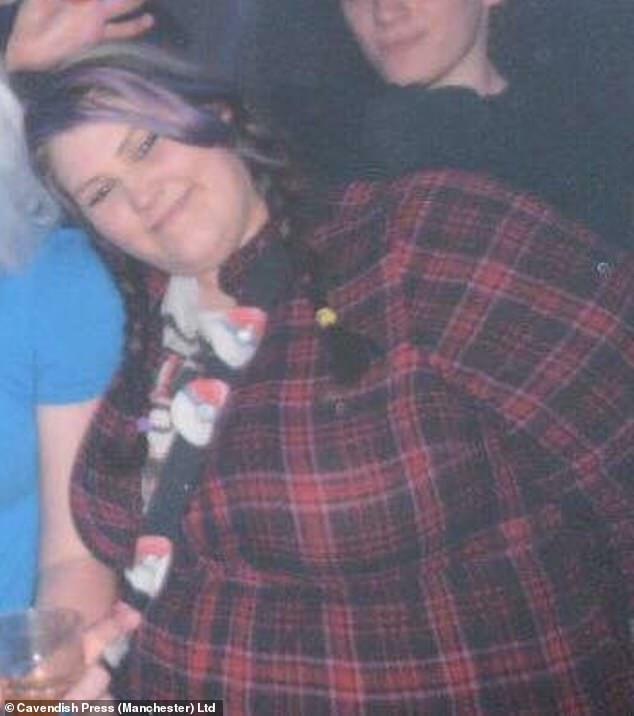 We used to be cooped up, I didn’t have the confidence to take her anywhere, she lost out on a massive part of her life and I am ashamed of that. ‘It’s literally given me my life back. It’s massively helped my health problems. I’m now able to see my girls grow up. ‘It’s never too late, if it wasn’t for the group I would have never been able to do this. I just took one step at a time. I went at my own pace. ‘You’ve got the rest of your life to do it. It’s changed my life and made me so much happier. I used to read about women in magazines losing weight and it was inspiring, so it’s amazing to become that woman’.